Join Et Al. : The NCSD Journal Club for its first webinar of the year on February 11, 2019 (2:00-3:00PM EST)! Webinar description: Join Et Al. 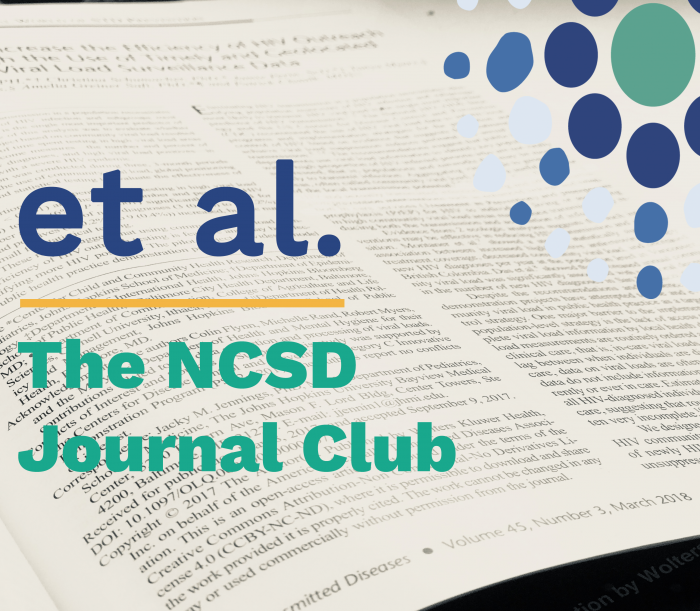 : The NCSD Journal Club for its first webinar of the year on February 11, 2019 (2:00-3:00PM EST)! You will have a chance to hear from those in the Seattle and King County HIV/STD Program (Washington) and the Mississippi State Department of Health on their recent article “Integrating HIV testing in syphilis partner services in Mississippi to improve HIV case finding.” It will be a peer-to-peer, active discussion that you don’t want to miss.